Busy people everywhere face the same dilemma - how to get healthy weeknight dinners on the table when you've only got minutes to spare. Cookbook author, nutritionist and food journalist Robin Miller guides you through the landmines of getting food on the table nightly with her stress-free meal planning strategies. Her easy, day by day plans help even the novice cook master these quick and tasty recipes. Plus, each week's menu comes with its own shopping list so you only have to hit the store once. 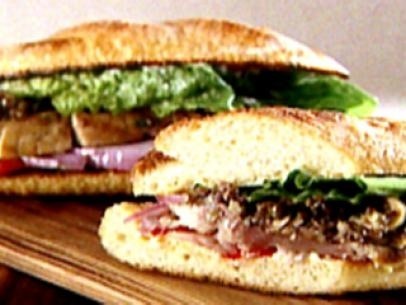 Problem solved makes some tempting canned tuna burgers. To serve top off with your favorite veggies. Click here to view the video on Food Network. Why post a video and have it unavailable to watch? It says "This video is private"
Food Network marked it as private for some reason, but you can view it on their site here.